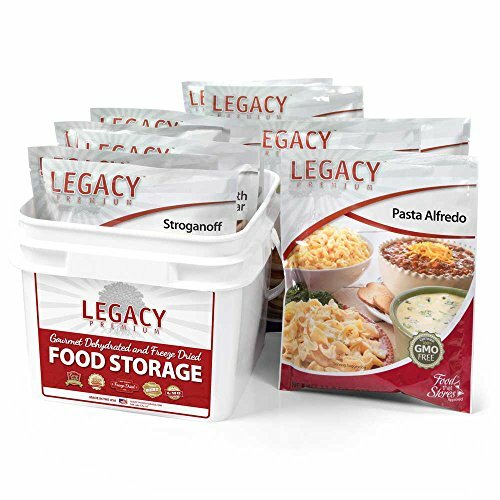 The Family 72 Hour Emergency Food Kit offers 32 servings of Legacy Premium's hearty, healthy, delicious freeze dried and dehydrated food stored in a compact, sturdy, easy-to-grab plastic bucket. Even though most people would be able to avoid the risk of starvation without food for three days, wouldn't it be better to just be prepared? Take care of your family's basic food needs for 72 hours with this great package and be ready for anything that may come your way. If you have any questions about this product by Legacy Premium Food Storage, contact us by completing and submitting the form below. If you are looking for a specif part number, please include it with your message.